When 19 Senate Democrats filed an amicus brief with the Supreme Court opposed to Hobby Lobby’s claim of a religious exemption from the Affordable Care Act’s abortion and contraception mandate no one was really surprised, Members of Congress often file briefs in support of or opposition to causes before the Court. But what makes the Democrats' brief in the Hobby Lobby case different is that along with it has come an unapologetic attempt to intimidate the Supreme Court into following the Democrats’ view that abortion and contraception are “health care” and that in order to exercise the right to own a business in America a Christian must pay for such procedures even if they violate his religious principles and freedom of conscience. Today, the Senate Democrats and their secular liberal allies are taking their plan to intimidate the Supreme Court to a new level on social media by attacking Hobby Lobby and the Supreme Court on Twitter. We understand that the Twitter attack on Hobby Lobby is being encouraged by a number of pro-abortion groups, including the notorious pro-abortion National Women’s Law Center, one of a number of secular liberal organizations that are helping the Democrats in their effort to intimidate the Supreme Court into upholding the Obamacare abortion mandate. While the idealists among us might be inclined to dismiss the idea of fighting a Supreme Court case in messages of 140 characters or less the fact of the matter is the Supreme Court doesn’t act in a vacuum; we take the Democrats’ efforts to intimidate the Court seriously and urge you to do the same. 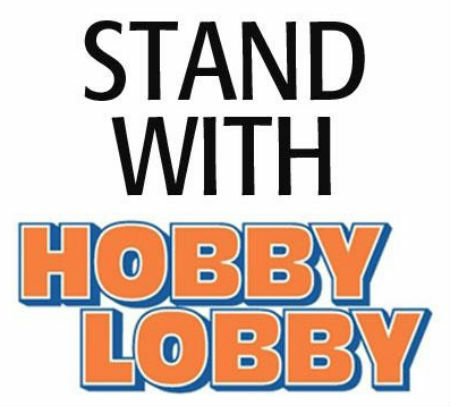 To that end from Noon to 1:30 p.m. today pro-lifers, advocates of religious freedom and First Amendment advocates are joining forces to tweet in support of Hobby Lobby and the right to religious liberty and freedom of conscience. Among our many friends who are supporting this effort Jenny Beth Martin, President and Co-Founder of Tea Party Patriots, is one of the leaders and we commend to you some of the ideas she has for how to support Hobby Lobby in their fight for religious liberty and freedom of conscience. If you want to send a message directly to the National Women’s Law Center their Twitter “handle” is @nwlc. For more information on the Hobby Lobby case (Sebelius v. Hobby Lobby) please use this link to go to the Becket Fund for Religious Liberty’s website  and please don’t forget to tweet to defy the Senate Democrats and stand for your First Amendment rights of religious liberty and freedom of conscience today (March 13, 2014) between Noon and 1:30 p.m.